Never stand still is both a “game world,” using basic game strategies to immerse the audience in an interactive environment, and a “stage” for a dance composition. Only when the game is played, the dance becomes visible. 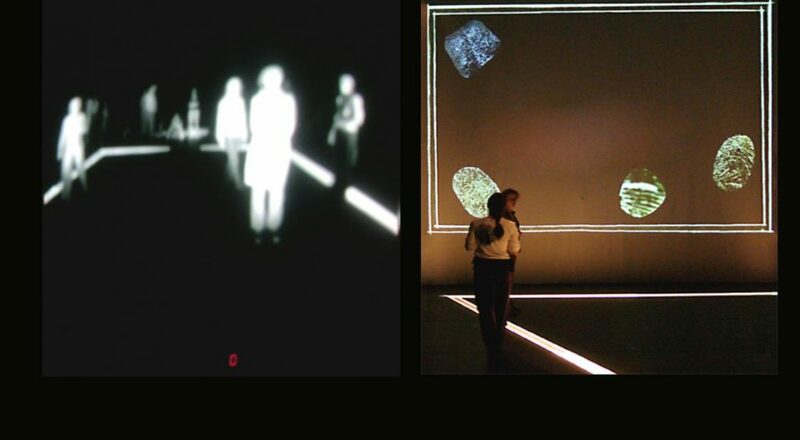 A motion tracking system records the movements of the players and translates them into a computational graphical game environment. 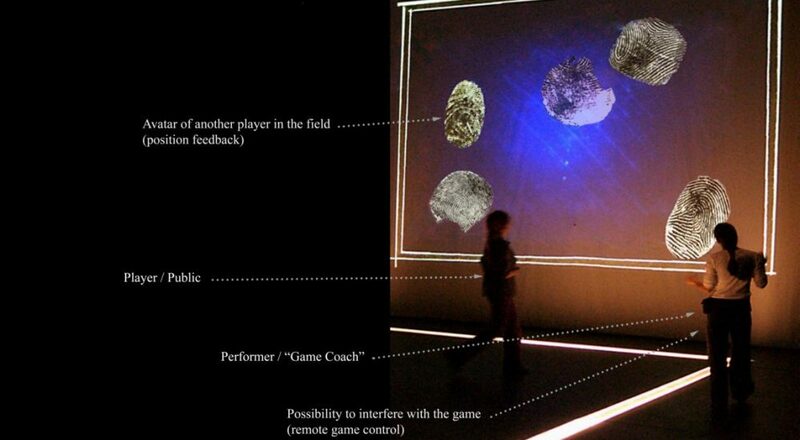 The players are supported by a game master, who supervises the game as well as digitally manipulates the scenery. A screen divides the performance spaces into two halves. The game is played in front of the screen, as the players follow the on-screen instruction. 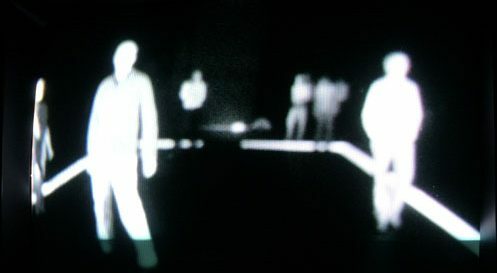 Behind the screen the audience can follow on a monitor the generated dance – as a live-stream captured by a hidden pinhole camera monitoring the “game” side of the space. Each audience member decides whether to game or to watch. The gamer as seen on the monitor, filmed by the hidden pinhole camera. 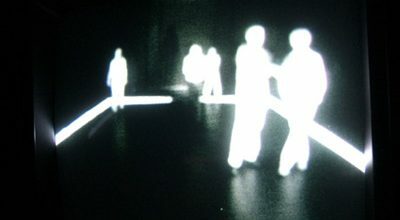 The space is flood with infrared light, letting the players appear as ghost figures. "dance performance" on the one side, "game world" on the other. and proceeds through a series of task. 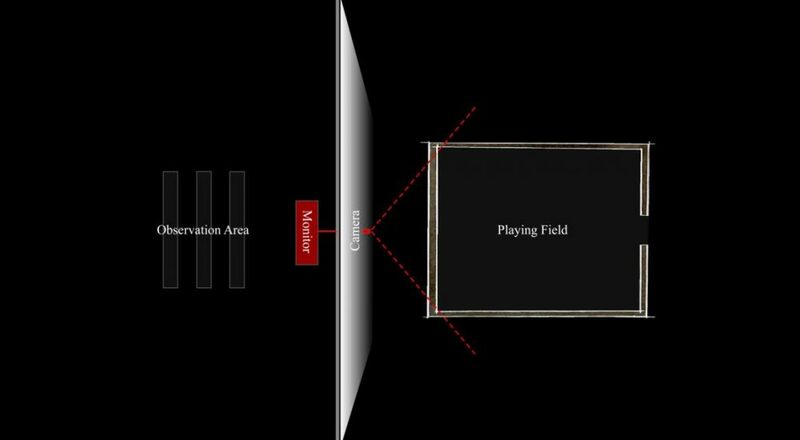 Diagram showing the spatial division between the active gaming situation and the viewing area. 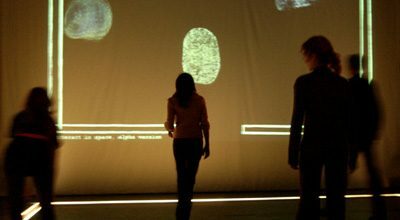 Each player is represented in the gaming environment as a finger print, endowed with the power to execute tasks and forward the game.